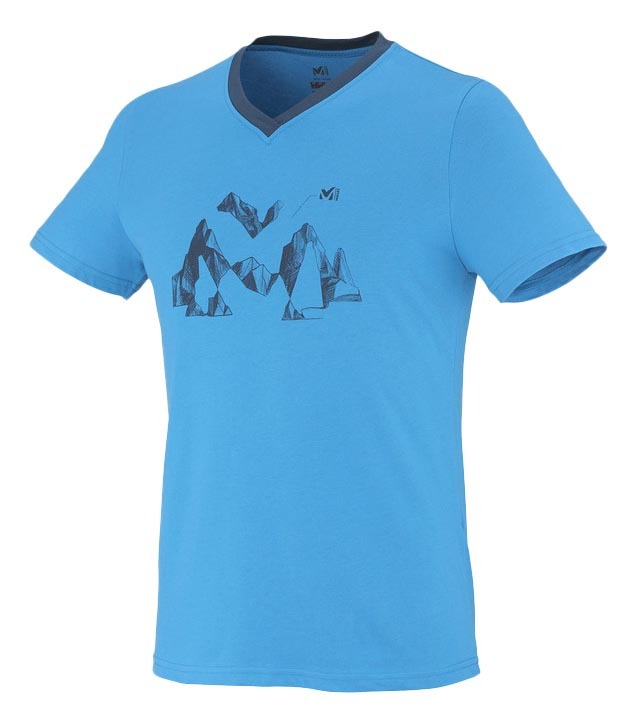 New this summer, this short sleeve T-shirt is designed for climbers and built with a sportive and fun approach to climbing. Roc Session Series The Yalla short sleeve T-shirt features a Smart Blend Cotton fabric combining the soft comfort and moisture absorption of cotton and the fresh feel and easy care of polyester. Millets Climbing Fit optimizes freedom of movement with climbing ergonomic features such as a pivot sleeve that gives more ease of movement and eliminates the regular armholes underarm seam that can cause shafing. The Yalla will follow you on cliffs and boulders, on climbing trip, outdoor and indoor, and anywhere on the street, for everyday comfort.